The May Queen of Bee Inspired was Velda. I got her block mostly done a while ago, but it languished as I figured out how to finish it. More on that in a moment. First, I belong to an online bee called Bee Inspired. Every month, someone gets to be Queen, and they get to choose a block for the rest of us to make for her. Here are the blocks I've made so far this year for my bee mates. Click on the photos to learn more about each block and where you can get the pattern. Anyway, for May, Velda @ Freckled Fox Quiltery wanted a cake block. The pattern is called Sweet Cakes by Patty Sloniger for Michael Miller Fabrics. Here are Velda's samples. The pattern includes a lot of variations, and Velda gave us the freedom to create something meaningful to us. For continuity, Velda wanted the background to be a tone-on-tone or solid gray, and the cake stand to be turquoise or teal (solid or tone-on-tone). Here's my block--Italian Cream Cake. Italian Cream Cake was the cake we served at my wedding, so I wanted to share that with Velda. Anyway, Italian Cream Cake is light colored with creamy frosting between the layers. So the first thing I did to make the block was to find the perfect fabrics. I wanted not only to capture the right colors, but also to somehow show the elegance of a wedding cake. So the white fabric I chose had a sort of elegant embossing, and the teal fabric for the cake stand had gold touches. Even the grey background fabric had a shimmer. After making the cake block, I immediately knew that something was missing. You see, our wedding cake was covered in fresh flowers. So I wanted to do that on my cake block too. I set the cake block aside for a while and thought about it. Then I got an idea--to applique some flowers on top of the cake a la trompe l'oeil--but did I have some fabric with flowers the right size and colors to simulate my wedding cake? I set the block aside again until I could find the right fabric. 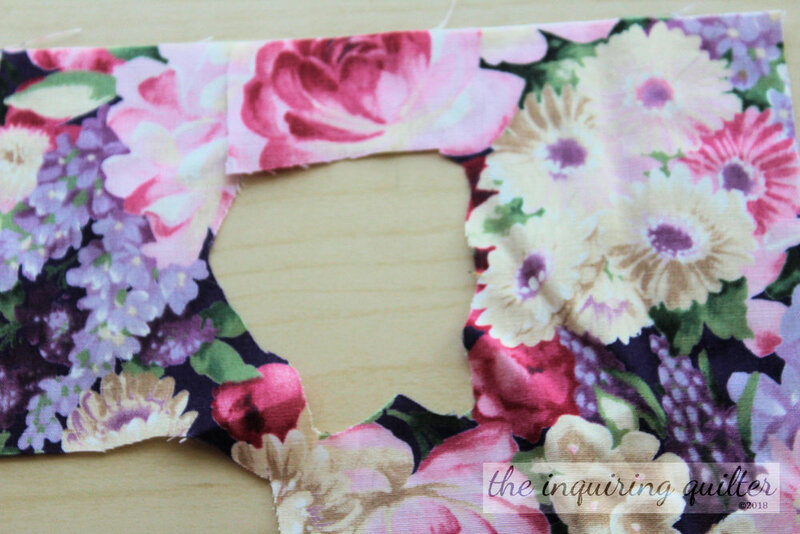 Finally I found this fabric, and cut it up to create the flowers with which to adorn my cake block for Velda. I used raw edge fusible applique to add the flowers. But I had to set the block aside again when I sewing machine got sick and had to go to the sewing machine hospital. It's still not back, but the other day I got brave and did the edge-stitching using my tiny portable machine that can only do straight stitching and a small zig-zag. The result isn't as nice as I would have liked, but it's finally done and on its way to Velda! Wanna try Italian Cream Cake? Here's a light version by Cooking Light that I've made. It's incredibly good. 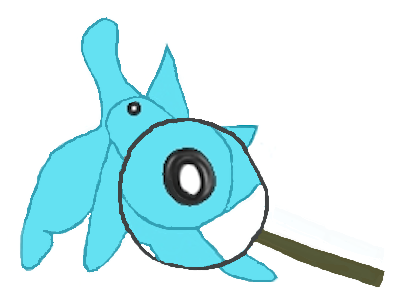 Here's a full-fat version if you want to try that instead. Well, it's on to the June Bee Inspired block! tell me...do you make blocks for your friends? Welcome to Wednesday Wait Loss! Please share your quilty works in progress and recent finished quilts with us! First, let me tell you what I've been up to. Let's see. Last week I finished the two Funky Friends I was making for Island Batik's Fall Market booth. Both of the Funky Friends feature fabrics that will be released at Market so I can't show what I actually made. I can show you what they look like however, by using the photos from the patterns. First I made Memory Bear. The pattern shows you how to create the bear using baby clothes if you want, which I think is a wonderful idea! I however made mine with Island Batiks of course. Memory Bear is very scrappy and I had a lot of fun deciding which batik went where. He turned out so cute, I can't wait to show you as soon as Market opens. 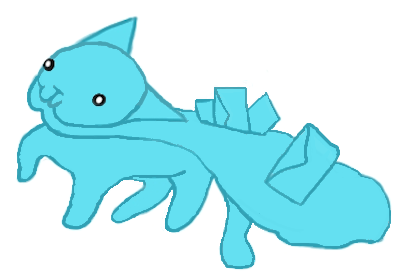 The second Funky Friend I made was Punju Peacock. He went together really quick. If you look closely, you'll see that his head is adorned with ribbons. I didn't have any ribbons that matched the batiks I was to use, but I did have some fun trims so I used them. He turned out adorable and a bit quirky. Can't wait until you can see him! Last week I also finished making the April block for my Bee Inspired beemate, Emily. Just in time for the 4th of July! Emily's block is foundation paper pieced and its the Starry Night block by Cath @ Wombat Quilts. I also finished writing a pattern for Dear Stella, featuring their new fabric collection, Flight Pattern. The pattern will soon be available for free download. 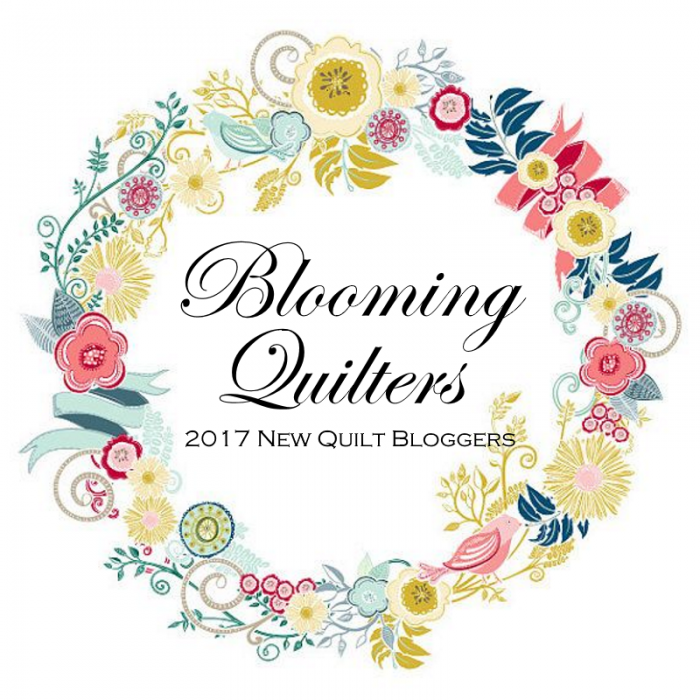 Last week's link up as you know was all about flowers and floral quilts. 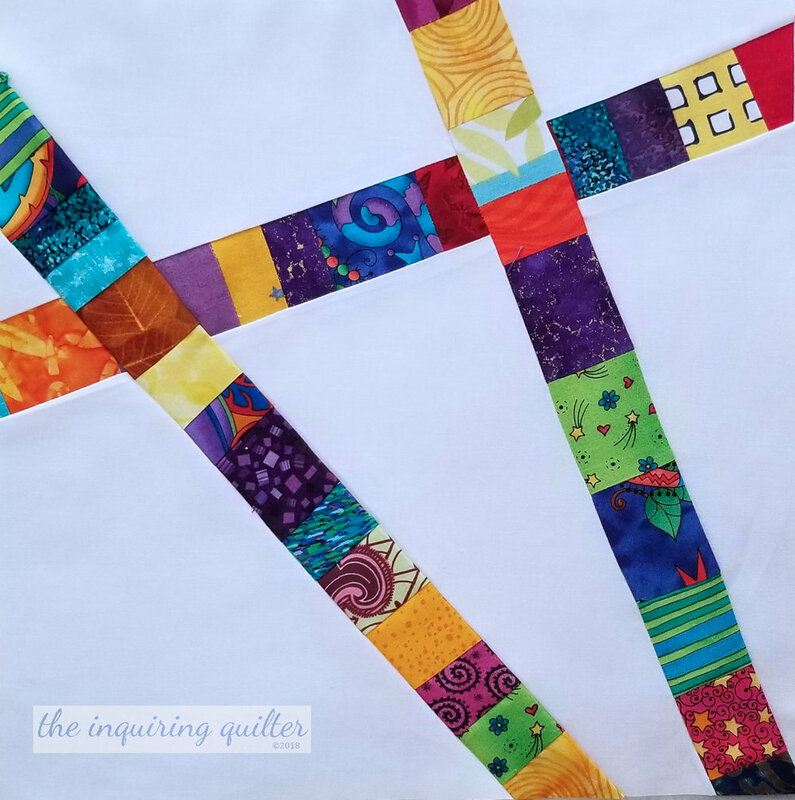 So for this week's feature, I want to showcase Karrin @ Karrin's Crazy World, who linked up a post with four floral quilts! 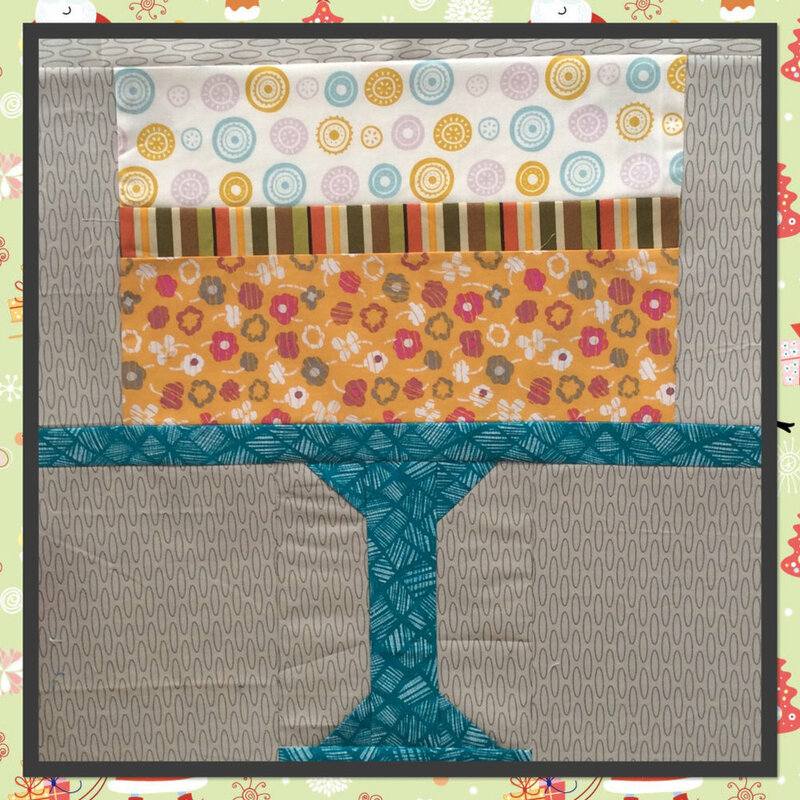 Visit her blog to learn more about these lovely quilts. 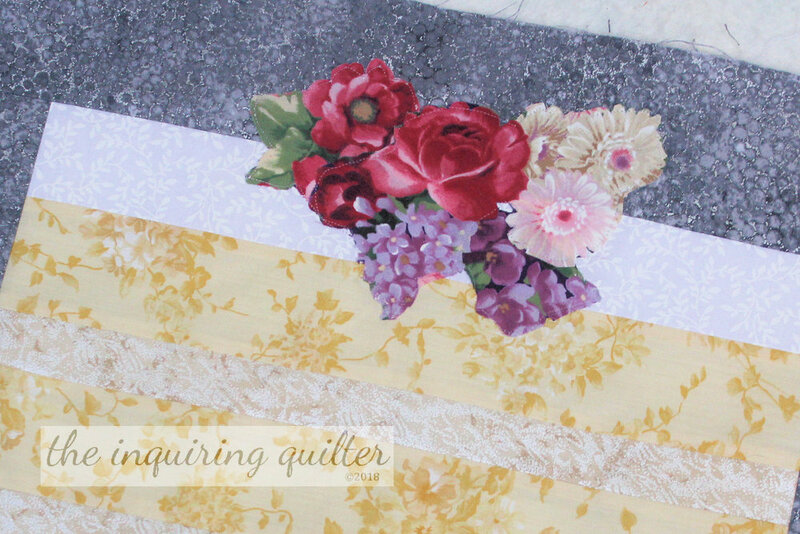 Did you miss the other floral quilts that were linked up? Click here to view last week's post, and the linkup at the bottom of it. Congratulations Karrin! Thank you so much for sharing your quilts with us. 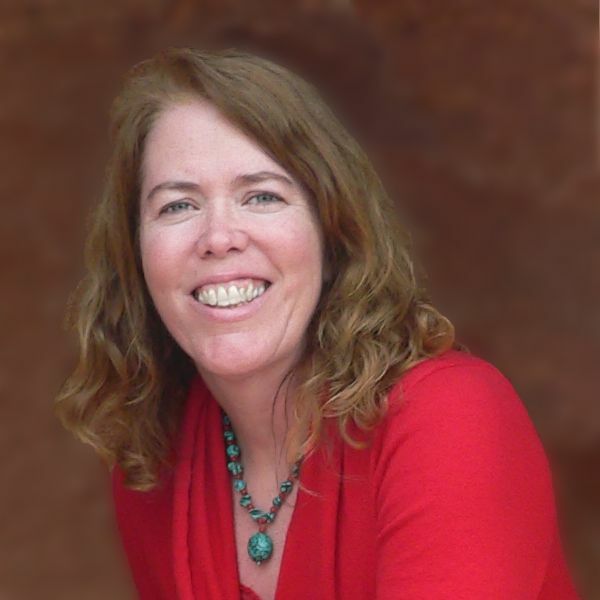 Here's an I Was Featured badge for your blog. Now let's see who one the Island Batik Stash Builder Roll. I assigned one number to each link up--two to every linkup with a floral quilt. Then I let Random.org choose the winner. Wow! This must be Karrin's lucky day because she's the winner! 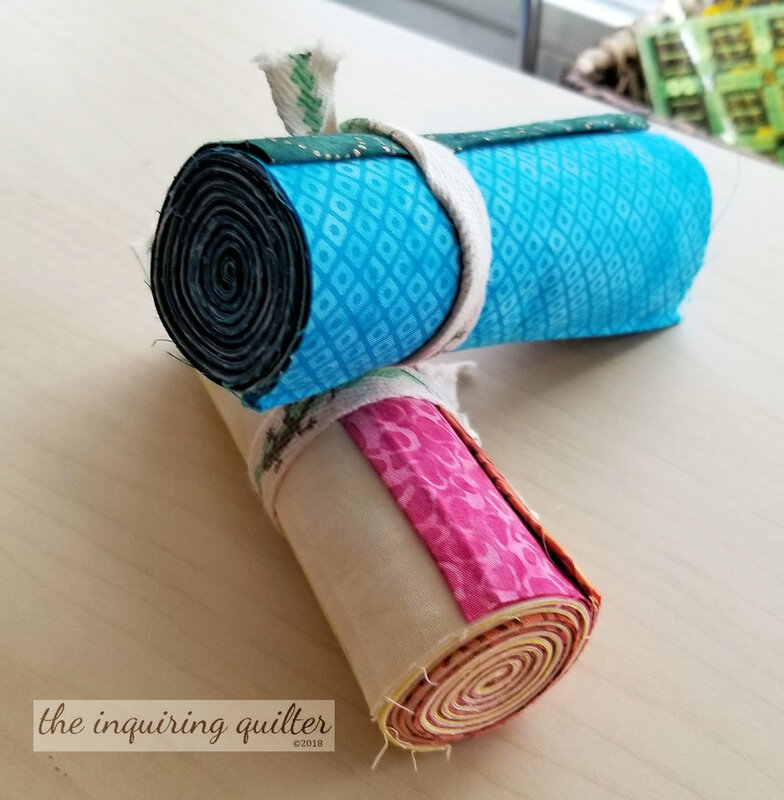 Karrin, please email me your postal address and I'll send the Island Batik Stash Builder Roll your way! Our next special link up will be July 18th. Since the United States celebrates it's independence on July 4th, I'd like to celebrate the month with red, white, and blue quilts. I'll be having another giveaway, so get your quilts ready for the link up! 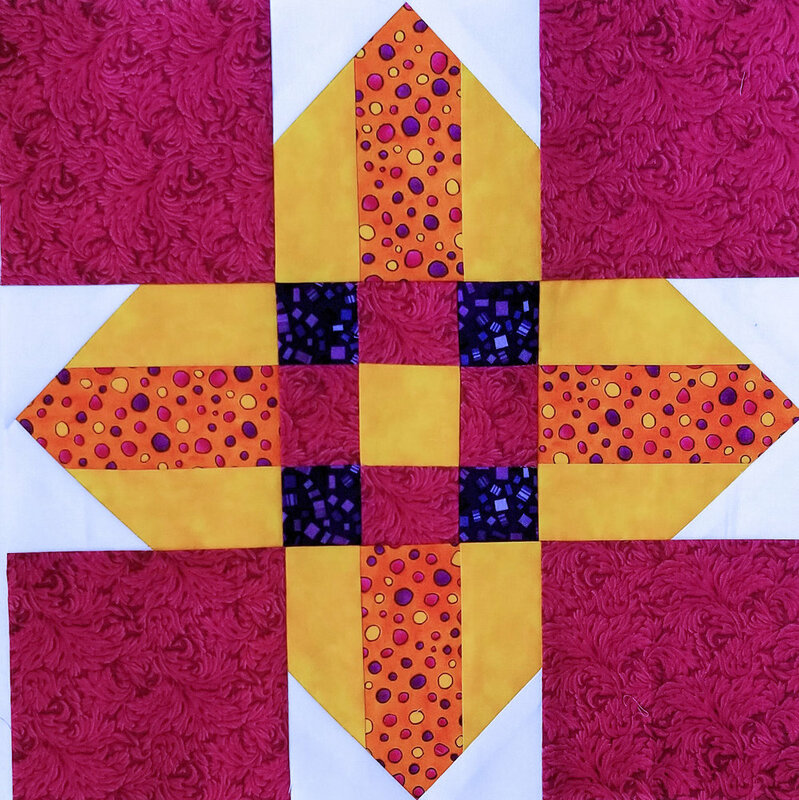 To qualify, quilts do not need to be patriotic or have anything to do with the Fourth of July, but they do need to contain at least some red, some white, and some blue (all three colors).